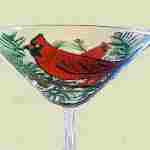 Everybody is doing the Turkey Trot with these hand painted Turkey martini glasses with all their multi colored plumage and their crazy attitude. 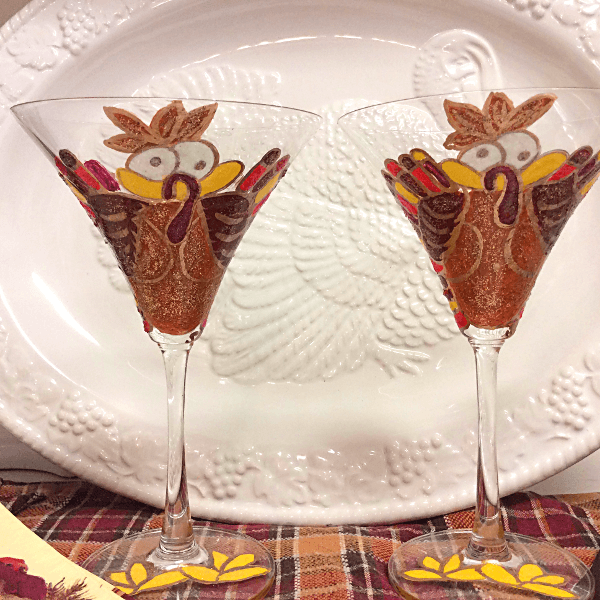 Clearly Susan's turkeys just love getting marinated on these Thanksgiving glasses. 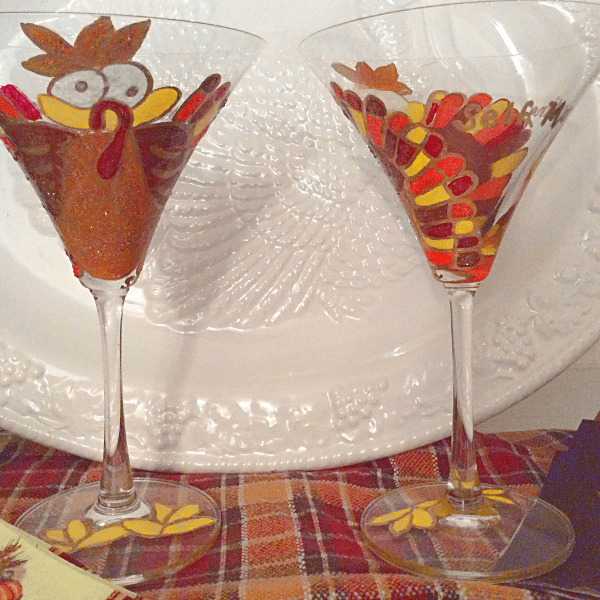 These Turkey glasses are ideal to Give Thanks with family and friends at any holiday gathering. The feathers are hand painted in bright golds, brown, yellows and oranges trimed in gold. On the back we can include any saying, names or dates: some that we have used: "Self Marinating" and "If I am gettting roasted then I am getting pickeled". What Thanksgiving saying can you come up with that you would like to see on the back? 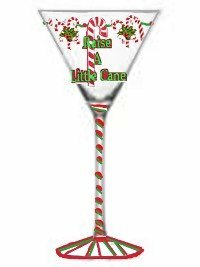 Can't wait to use these glasses for Thanksgiving. Adorable, whimsical and oh! so delightful. I have had so many compliments.